The Hockey Club Lugano is one of Swiss hockey's most winning and well-established sports clubs. In fact, since the 1985/86 season, it has conquered seven national titles, further five play-off finals, two participations in the European Cup final round, one in the Top Four Final in Euroleague, one in the Super Six 2007, a decisive action in the Spengler Cup and two third places in the Continental Cup Superfinal. Officially founded on 11th February 1941, it celebrated its sevenths year of life in the 2010/2011 season. Apart from the result of its first team, which obviously serves as a leading vehicle, the Hockey Club Lugano constitutes a significant reality in the region to the south of the Monte Ceneri and is deeply rooted in the fabric of Lugano, Canton Ticino and Switzerland. Just think of the campaign for the popular subscription of the shares of the Hockey Club Lugano plc. : it has engaged nearly a thousand different shareholders among supporters, public bodies and private bodies. As such, the social function performed by the Youth Section of the Hockey Club Lugano in particular is recognised and appreciated. Today the Youth Section counts more than four hundred registrations in the various age categories and seven professional coaches. The enthusiasm and popular passion that the black-and-white colours can provoke were obvious to all the eyes watching the celebrations at the "Resega" ice rink and in "Piazza della Riforma" – the heart of the people of Lugano – during the month of April 1999, when more than eight thousand people triumphantly welcomed the heroes of the 1998/1999 championship conquered at the "Valascia" ice rink in Ambrì. 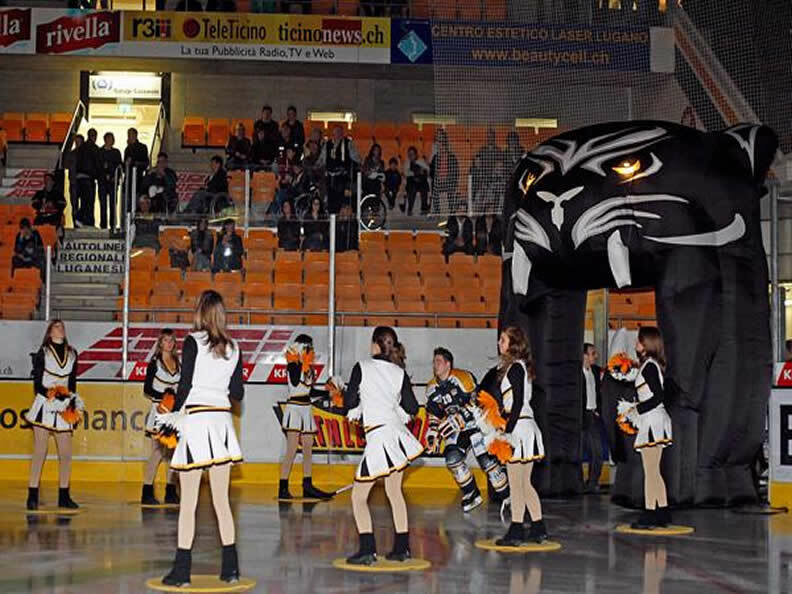 During the season, the Hockey Club Lugano registers an average of nearly 5000 spectators who watch the games, play-offs included. The memberships at the "Resega" are more than 3000.